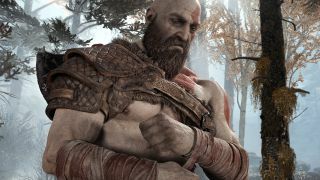 Kratos has a lot to do in his latest adventure and a God of War guide will help with general tips, getting the best armor, all the chests you can find, the valkyries you have to fight and plenty more. The semi open world give you plenty of freedom to tackle things how you want to, so don't be afraid to ditch one tricky challenge to take on another and spread the load. However you approach things we've got everything covered with this God of War guide. With a game the size of God of War there are many things you can do, so some helpful hints to set you on the right path certainly won't go amiss. Check out our God of War tips for 11 things you should know before playing. There are various different pieces of armor you can kit Kratos out with, and each provide their own set of stat boosts. If you want to snag the top protection then check out our guide for how to get the best God of War armor. There are 11 Jotnar Shrines to find in God of War, with each one revealing a new piece of lore about the giants' history. Only one of them is accessible during the story, so if you want the rest of them you should follow our guide to find all the God of War Jotnar Shrine locations. To open a Nornir chest, you need to find the three runes that seal it, which normally involves smashing things or solving puzzles. It's well worth the effort, as they contain the only items that can increase your maximum health and rage, so if you want to find and open them all then follow our God of War Nornir chests guide. We won't go too far into Spoiler Town here, but once you reach the God of War end-game content you'll find yourself battling against a series of Valkyries. If you're looking for help with defeating them, here's our tips for how to beat the God of War Valkyries. There are a series of 12 treasure maps to find and complete, which net you important resources to upgrade your weapons and armor. Handily they're all located around the Lake of Nine in Midgard, and here's how to find and solve all of the God of War treasure maps. Niflheim is full of lethal mist which saps your health over time, as well as featuring a randomly generated maze full of traps, so naturally it's a pretty inhospitable place to visit. Check out our God of War Niflheim tips for help with surviving the maze and getting the most Mist Echoes. As we mentioned before, Niflheim is a harsh place to be, so it would be useful if you had some armor to counteract the health sapping effects of this region. The Niflheim Mist Armor is what you want, which provides a healing effect over time, and you can track it down using our God of War Niflheim Mist armor guide. If you want an armor set to match Kratos' fiery temperament, then look no further than the Muspelheim Fire Armor. If you want a chance to inflict fire blasts, create burning shields, or a stat boosting flaming aura, here's how to get the God of War fire armor without being burned. If you want Kratos to look great as well as gaining magic boosting abilities, you're going to have to defeat some tough Valkyrie enemies. For full details on where to find and beat them, this is how to get the Valkyrie armor. The most plentiful collectible in God of War comes in the form of glowing green ravens, which you need to smash with your axe to eliminate. There are a whopping 51 of these feathered spies, which you can take out by following our God of War Eyes of Odin guide and earn the Allfather Blinded Trophy. Artefacts are another set of collectibles strewn across God of War, with plenty of small trinkets for you to track down and sell for some serious coin. Follow our God of War artefact guide to find them all and earn the Curator Trophy. If you're taking on the Muspelheim challenges then we hope you like fire, as there's plenty of it in these endless combat arenas. If you want to gather some flaming resources then follow our God of War Muspelheim tips to survive the trial by fire. If you've finished the main story of the game, then you may well have questions about what exactly happened. We've got the answers about the God of War ending right here, to help you out. You've seen the credits roll at the conclusion of the story, but have you seen everything? There's actually a God of War secret ending that requires some more work to see, but believe us that it's worth the effort. Not got time to actually play the whole of God of War, but want to know everything about it including all the biggest moments and twists? Then let us show you 6 of the biggest God of War spoilers in 7 minutes. It may not be obvious at first, but the game is chock full of nods to previous GOW releases, background information for the current story, and other Easter eggs. Let us guide you through the God of War secrets and explain what they mean.